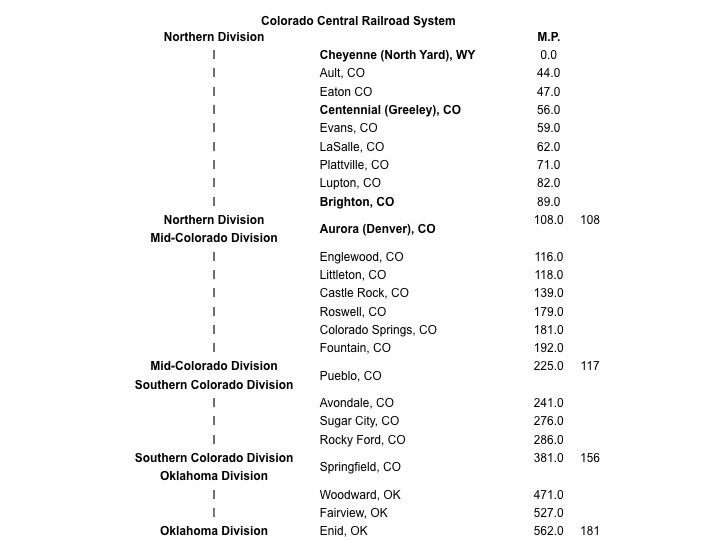 The following is a copy of the Colorado Central railroad System from the norther terminus to southern terminus. The stations depicted in bold type are modeled on the layout. Only areas of the Northern Division are modeled.